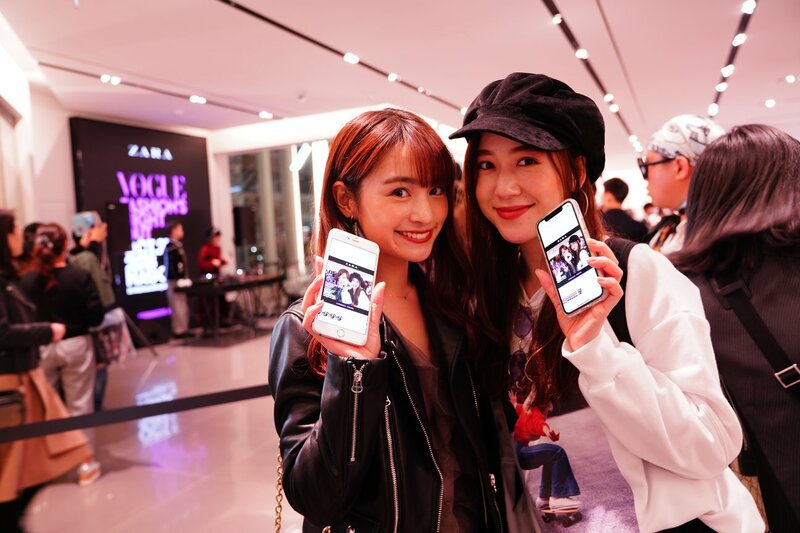 The #MirrorSnap camera service was recently featured at the Nagoya outlet of ZARA in combination with VOGUE FASHION’S NIGHT OUT (FNO) NAGOYA, a gala event staged on October 27 in Nagoya City. 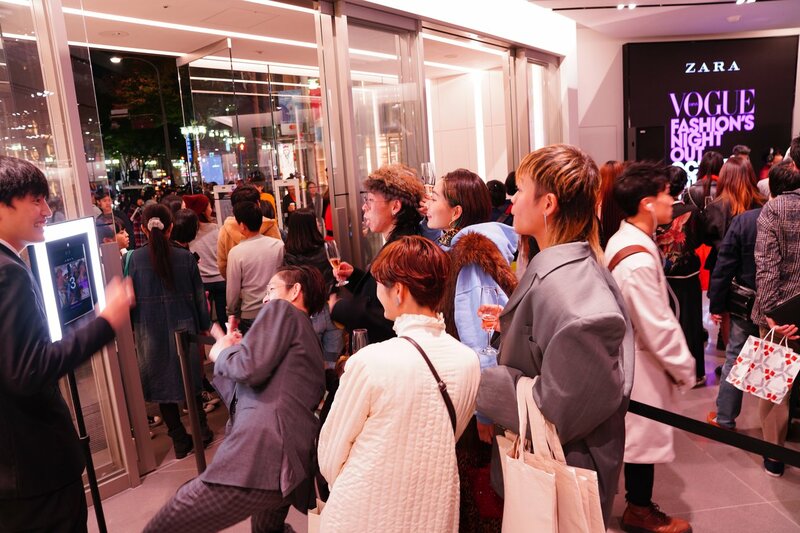 This special installation was highlighted with a digital frame tastefully accented in purple – the official theme color of FNO NAGOYA. 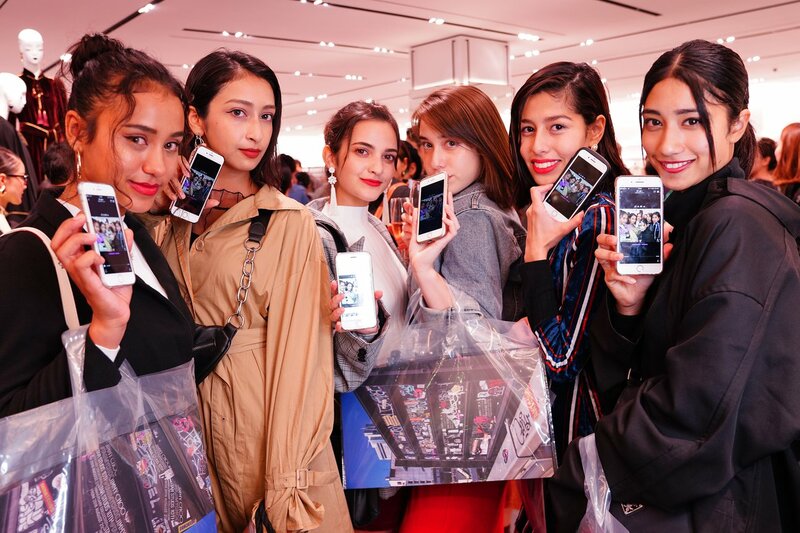 Designed as photo contents to further liven up this high-profile one-night fashion extravaganza, the booth was thoroughly enjoyed by a large number of visitors. 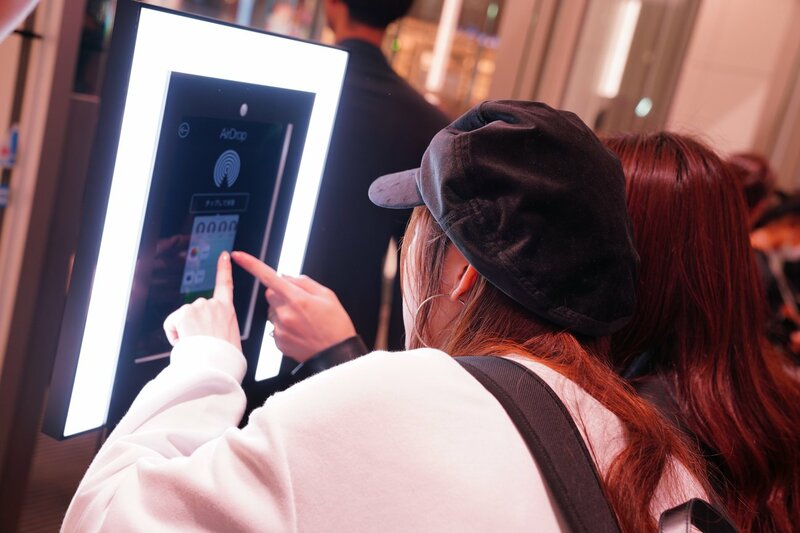 As showcased at this Nagoya occasion, #MirrorSnap is also engineered for fun use in promoting social media sharing of photographs that convey the worldviews of brands, events and other entities.